Singapore is considered to be one of the leading asset management locations in Asia, with total assets under management of around S$2.6 trillion at the end of 2015. The Singapore funds market is constantly evolving and regulatory framework is adjusted in response to the growing demands of the sector. On 23 March 2017, Monetary Authority of Singapore (MAS), the regulator of the sector, announced a public consultation on the proposed Singapore Variable Capital Company (S-VACC), a new corporate structure for investment funds. The S-VACC structure can be applied to open-ended and close-ended funds of retail and private nature for standalone or umbrella entity with multiple sub-funds. The S-VACC allows for more flexibility and tax savings than the currently available entities and would overcome some of the drawbacks in the existing entity structures. Currently, there are three types of structures used by investment funds in Singapore, namely unit trusts, companies formed under the Companies Act and limited partnerships. But these structures pose some limitations for investment funds. For instance, private limited companies are subject to restrictions on the modes and methods of returning capital to an investor. Buybacks of ordinary shares are limited to 20% of the issued ordinary capital of the company. These can be repurchased out of distributable profits or out of the capital. A statutory solvency statement is also needed for this. Alternatively, a company can seek the approval of the court to carry out a capital reduction or can do so after filing a statutory solvency statement and publicising the same by filing with the ACRA. Likewise, a Singapore corporate entity is allowed to make a distribution from its profits only and not from the capital, this is contrary to typical fund practices which fund redemption from net asset value of the shares. Also, there are some limitations posed by the accounting treatment of funding instruments and investment portfolios. In the case of unit trust as a fund structure, the major limitation is that the entity would not qualify as a legal entity to avail reliefs under tax treaties. Thus the lack of flexibility and strict procedures relating to the capital, distribution, accounting treatment etc., of a corporate entity impedes free subscription, redemption, and distribution. The S-VACC structure would essentially pave way for the growth of investment pooling activities in Singapore. It is anticipated that the newly proposed structure for investment funds would be a game changer in the global fund management landscape in which Singapore is competing with long-established asset management hubs such as the British Virgin Islands (BVI) and the Cayman Islands. However, as Asia gains traction, Singapore’s position as an asset management hub is set to get stronger in the coming years and outshine other prominent jurisdictions. Is tax the key differentiator? The BVI and Cayman Islands are two popular jurisdictions among investment funds not just because of the zero-tax factor but also because of the existence of other factors such as sound legal system, the pro-business regulatory regime and quicker setup time. However, the jurisdictions’ tax regime has come under lot of criticism as there is no income, capital gains or corporation tax in both BVI and Cayman Islands. In comparison, Singapore’s tax system may appear to be uncomplimentary but a closer examination of the sector-specific tax incentives amidst the growing emphasis on ‘transparency’ and ‘substance’ would make Singapore an ideal jurisdiction for fund domiciliation. In Singapore, regardless of offshore or onshore nature of the fund, if the person managing the fund on a discretionary basis is present in Singapore, the fund is deemed to be resident for all tax purposes. Although not incorporated in Singapore, incomes, and gains of such funds are taxable unless there is a tax treaty or they qualify for tax incentives. Singapore has three major tax incentive schemes for the fund management sector and these are available until 31 March 2019, as long as a fund qualifies for the exemption scheme before 1 April 2019 it would continue to apply for the life of the fund even if the relevant scheme is not available beyond the date. An offshore fund, say a Cayman Islands fund or BVI fund, managed by Singapore-based fund manager will be exempt from tax on income from designated investments received by any “prescribed person”. A fund will generally qualify as a prescribed person, if it is not resident in Singapore and not 100% owned by Singapore investors or does not have permanent establishment in Singapore. Additionally, Singapore resident non-individual investors are limited to holding 30% to 50% of the fund to enjoy the tax exemption on their share of the fund’s income, otherwise they have to pay a penalty (equivalent to the corporate tax) to the IRAS. The scheme is to encourage funds to be based in Singapore. The scheme exempts tax on specified incomes from designated investments, derived by an approved company. In order to qualify as an approved company, less than 100% of the issued shares of the company could be held by Singapore residents or permanent establishments. Unlike the schemes for onshore and offshore funds, there are no restrictions on the percentage of Singapore investors in the fund and there are fewer restrictions on the choice of fund entity. The fund should have a minimum size of S$50 million to use this tax incentive. It is applicable to both onshore and offshore funds and requires MAS approval. Besides the above three schemes, there is the Financial Services Incentive – Fund Management (“FSI-FM”) for fund managers based in Singapore. Under the scheme, subject to certain conditions, fee income earned by an approved Singapore fund manager for the provision of prescribed fund management or investment advisory services to a qualifying fund in respect of designated investments would be subject to a concessionary tax rate of 10% instead of the prevailing 17% tax rate. 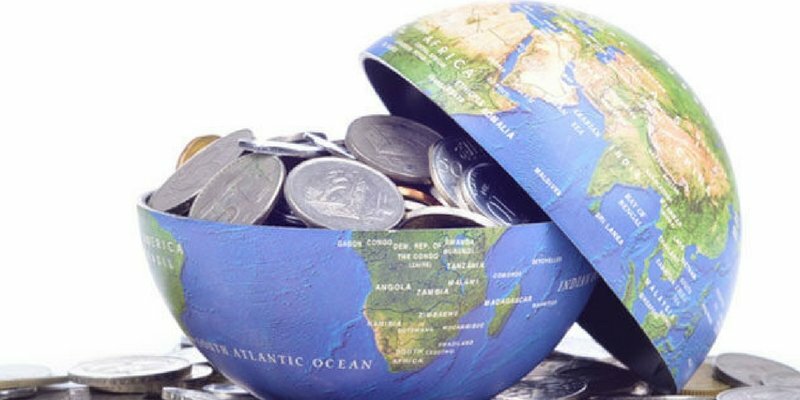 The key advantage of incorporating a fund in Singapore is that it can gain advantage from the double taxation treaties that Singapore has with over 70 countries. More importantly, the dividends will be exempted from tax. As of 2015, BVI has only 10 DTA signed of which two are pending ratification and Cayman Islands have not yet signed a DTA with any country but both BVI and Cayman Islands have signed several tax information exchange agreements and have cleared themselves from the OECD ‘grey list’. Due to the inadequacy and lack of DTA arrangement, in the case of funds domiciled in these jurisdictions though the incomes and gains of the funds are not charged and dividends are not subjected to tax at the point of distribution, shareholders may be subjected to tax on the dividend income as per the prevailing tax rates in the jurisdictions where they are tax residents. In contrast in the case of Singapore domiciled funds, dividend recipients from treaty partner countries would enjoy credits against taxes payable in the partner countries for Singapore taxes paid. Unlike Singapore domiciled funds that could enjoy concessionary withholding tax rates on incomes from investments made in the markets of treaty partners, the funds domiciled in BVI or Cayman Islands would not enjoy the concessionary withholding tax rates on incomes derived from outward investments. With the growing emphasis on ‘substance’ amidst tax transparency debates that have emerged at the back of OECD’s Base Erosion and Profit Shifting (BEPS) and the United States’ Foreign Account Tax Compliance Act (FATCA), investment funds that are domiciled in British Virgin Islands (BVI) and Cayman Islands are facing lot of scrutiny and are under pressure. Singapore has responded to the evolving scenario by introducing the inward re-domiciliation regime with its latest amendments to Companies Act. The foreign funds domiciled in jurisdictions that are perceived as tax havens could now re-domicile to Singapore. Extensive initiatives are underway to create a common integrated market for funds and investment schemes domiciled in the region, ASEAN CIS and Asia Region Fund Passport scheme are nearing fruition. This would create a unified market across the region and improve the prospects and potential earning for funds domiciled in Singapore. The growing importance of Asia in the global economy, Singapore’s macroeconomic merits and the government’s commitment to nurturing the sector will continue to reinforce Singapore’s position as a key fund management and financial center in this part of the world.